MB ChB DRCOG DCH MRCGP PGCert Qualified Leeds 1993, Honorary Senior Lecturer, Norwich Medical School, University of East Anglia. Dr Singh Graduated from Leeds University 1993 and joined the practice as a partner in 1998. She is a member of the Royal College of GPs. She also holds Postgraduate diplomas in Child Health and Obstetrics/Gynaecology. In 2015 Dr Singh became the Senior Partner. Dr Singh has been a GP trainer since 2003 and is responsible for training multiple trainees. She is also a GP tutor and has been teaching undergraduate medical students since 2007. She is also the Caldicott Guardian, responsible for protecting the confidentiality of people's health and care information and making sure it is used properly. Dr Fowler qualified in 1989 at St John's College, Cambridge University. Undertaking her GP training in Norwich and joined the practice in January 1995. She is a trainer of qualified doctors attached to the Practice who are training to be GPs and also facilitates on other educational courses outside the Practice. She works within the surgery on three days a week. Dr Matt Morley trained at Kings College Hospital, London. He completed most of his junior doctor roles along the south coast, with trips abroad to work in Ghana, climbing in the Himalayas and travel throughout Central America. 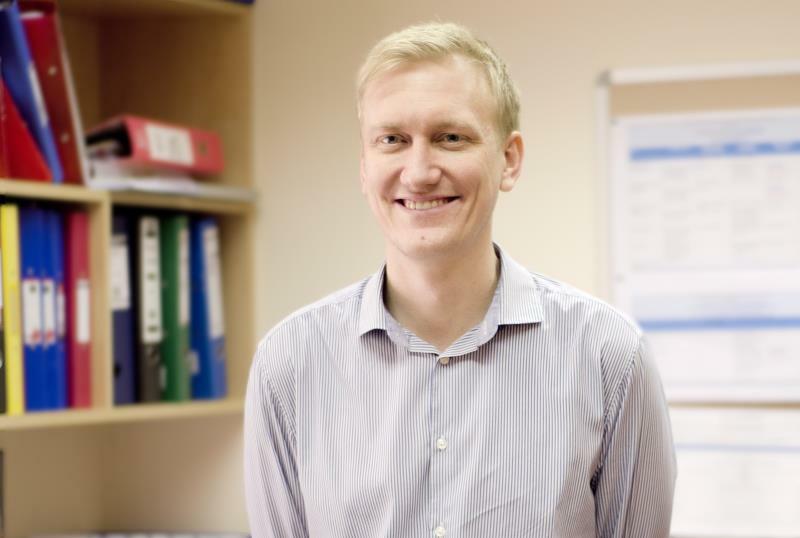 He moved to Norfolk in 2000, completing his GP training shortly afterwards and has worked at the practice since. He is dispensary and safeguarding lead and oversees the travel clinic and 24 hour ECG's. He is also a GP tutor for medical students from the UEA. Dr Dernedde studied in Hamburg, Germany. He held posts in psychosomatic medicine, paediatrics and palliative medicine before training as a GP in Norwich. He has been a partner at Hoveton and Wroxham Medical Centre since 2006. Dr Dernedde is the medical centre's lead GP for research and is also an associate GP trainer. He has an interest in clinical audit and represents the practice in the North Norfolk Clinical Commissioning Group. BSc MBBS MRCP MRCGP Qualified University College London 2005. Dr Brookings qualified from University College London in 2005 with a MBBS in medicine and BSc in neuroscience and has since moved back to Norfolk. Before choosing to become a GP he specialised in Medicine for the Elderly as a registrar in the region for 2 years. He has both membership of the Royal College of Physicians and Royal College of GPs. Dr Brookings became a partner at the practice in 2015. Nurse Practitioners have been working in this country for 20 years with rapidly increasing numbers, however it is only within recent years that they have begun to establish their identity as a professional body, about to be regulated by the Nursing and Midwifery Council (NMC). So what is a Nurse Practitioner? Nurse practitioners are highly experienced and educated members of the care team who are able to diagnose and treat healthcare needs or refer to an appropriate specialist if needed. The NMC states that only nurses who have achieved the competencies set by the NMC for a registered NP are permitted to call themselves by this title. SRN SCM BSc (Hons) ANP, Nurse Prescriber, Dip in Asthma, Family Planning Certificate - Nurse Practitioner Manager. Benny Harston has worked at the surgery since 1990, firstly as a practice nurse then later as a Nurse Practitioner and now team leader. She has a keen interest in the professional issue relating to Nurse Practitioners and also teaches primary care nurses. Caroline Mansfield has been working at the surgery for over 15 years and is a highly valued member of the team. Caroline is the surgery's research lead and has been involved in several research projects over the last few years covering a wide range of medical conditions. Sara Bailey qualified as a Registered General Nurse in 1988 in Peterborough and then spent seven years working in the Accident and Emergency Department in Peterborough. She then moved into General Practice as a Triage Nurse in St Neots before taking up a Nurse Practitioner Trainee role in Yaxley near Peterborough. She graduated from the University of East Anglia with the Nurse Practitioner BSc in 2007. In 2012 Sara relocated to Norfolk working as a Nurse Practitioner in Cromer. She joined the Nursing Team at Hoveton and Wroxham as an Advanced Nurse Practitioner in March 2017. Marion started at the Practice in 2004 as a locum practice nurse before becoming a permanent member of staff. She orginally trained at the Norfolk & Norwich hospital, spent 5 years at the West Norwich and 20 years at the NNUH. As a Practice Nurse Marion covers a wide aspect of tasks, including smears, baby immunisations, dressings, ECGs, ear syringing, BP checks, all routine injections and travel clinic specialist. Janet joined the practice in 2015 having previously worked at the NNUH. Clair joined us from a Norwich Practice in 2009. Clair is also a smoking cessation advisor and you can make appointments with her by contacting the reception team. Clair and Sharon are also responsible for taking the blood tests to monitor patient Warfarin levels. Sharon joined the practice in November 2012 after working at the Norfolk & Norwich Hospital for 10 years. Sharon works closely with Clair to carry out blood tests, dressings and initial Diabetic review checks. Chris joined the Practice in November 2018. The reception team deal with the majority of phone calls that come into the practice along with booking appointments and welcoming patients at the desk when they arrive. The reception is open from 08:30 until 18:00 every week day. The secretarial team deal with the majority of the administration from and to the doctors, as well as specific queries from patients. Our health visitor can be contacted at the Practice on 01603-777880. She usually works Mondays, Wednesday or Friday. The Child Health Clinic runs on the first and third Thursday of each month between 09:30 and 11:00 at the SURE START Centre (Broadland Youth & Community Centre) Stalham Road Hoveton. She can give advice on health care, developmental concerns particularly for parents and children 0-5 years. She will run various other clinics and groups as needed. The dispensary are a friendly team who are always on hand to deal with any medication queries and to give help and support to all our patients.